Picturing Disney: Retro Epcot Prize Pack Giveaway!!! 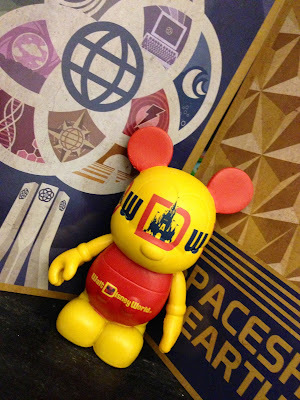 As promised, the awesome scbb11Sketch's Epcot pack of 11 postcards AND the Walt Disney World 40th anniversary vinylmation giveaway begins today! I am so excited because, as you could tell from my original post I just LOVE these designs! Annnd you already know how much I love vinylmation! This little guy actually was from my personal collection and when I ended up with doubles I decided to save him for a fun giveaway and he fits in perfect with these great designs! Which is your favorite?? Use the rafflecopter below to enter for your chance to win then comment and let me know which design you love best! I can't decide- I love them all! These cards a beautiful. What a great giveaway! I love these cards thank you if I do not win I plan to go buy them!!!! The cards are great as a keepsake. Love Wonders of Life. It holds a special place in my heart. The Living Seas but they are all beautiful!!! I enjoy all the stuff that are in Epcot. Love the rides in Epcot especially the rides that aren't there. I think epcot should go back to more vintage styles. They are so great the designs. I love anything retro EPCOT! I would frame the postcards to hang in my living room! I love them all! It is too hard to pick just one!